May is Arthritis Awareness Month. 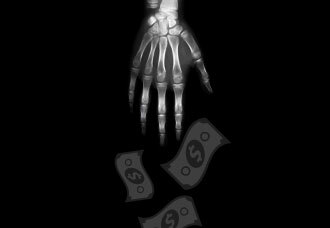 Learn two key ways to manage the costs of arthritis: getting the coverage you need and understanding how therapy benefits work. Is It Time for Hearing Aids to Be Sold Over the Counter? Tech-savvy seniors are racking up passport stamps like never before, the World Economic Forum reports. But did you know that Medicare generally does not cover medical expenses during travel abroad and that Medicare Supplement plans typically only pay 80% of health care costs during foreign travel? Learn more. Two elderly women were out driving in a large car. Both could barely see over the dashboard. Cruising along, they came to an intersection. The stoplight was red, but they just went on through. The woman in the passenger seat thought, "I must be losing my mind. I swear we just went through a red light." A few minutes later, they came to another intersection, and the light was red again. Again, they went right through. This time, the woman in the passenger seat was almost sure that the light had been red but was really concerned that she was mistaken. She was getting nervous and decided to pay very close attention to the next intersection to see what was going on. Did you laugh? See more! © Mature Health Center and Insuractive®, All Rights Reserved. Distributed by Mature Health Center at 8420 W. Dodge Rd., Ste. 510, Omaha, NE 68114. This is a solicitation. Not connected with or endorsed by the United States government or the federal Medicare program. If you wish to stop receiving our newsletter and email communications, please unsubscribe.